With temperatures still hovering near freezing overnight, it’s hard to say when spring will actually arrive on Maine’s Mid-Coast. To say the least, it was a crazy winter . We had only one major snow storm with just one day of school cancelled for icy roads, but the weather see-sawed between cold weeks, unseasonably warm & sunny days, then freezing temps requiring down coats for Easter. It seemed (seems?) like Mother Nature simply cannot make up her mind!! 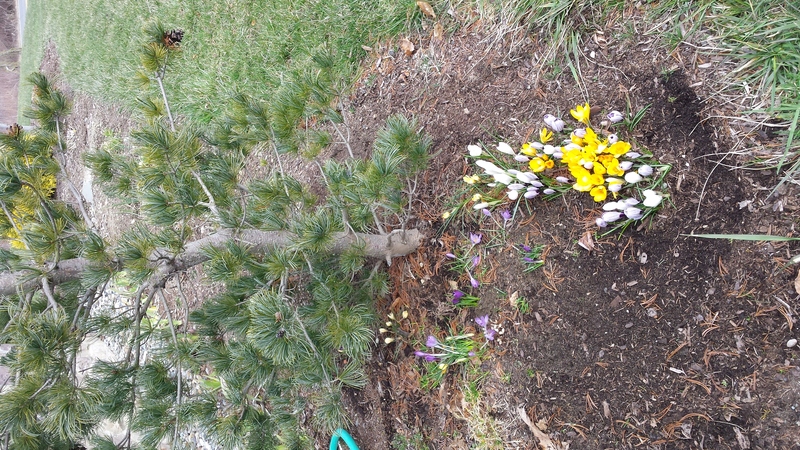 But the crocuses bloomed last week in our garden…the snow piles have disappeared…and we’ve begun to rake gravel out of the still-brown grass. Happily, we’ve seen cardinals in our rosa rugasa canes…and bluebirds have just made an early spring home in the birdhouse a friend purchased from us last year! So…warmer weather can’t be too far away…can it? Hope to see you soon in Tenants Harbor! Veggies…Picked Fresh, Just for You! Our backyard vegetable garden is green and growing, with lettuce, spinach, chard, kale, frise, broccoli and beets already ripe for the picking and peas, beans, carrots, leeks, cabbage, corn, tomatoes, peppers and eggplants hitting their peak in the weeks to come. Look for us at the OceanView Grange Farmers Market in Martinsville, Route 131 on the St. George peninsula, Thursdays, 9:00-1:00, thru mid-September. Better yet, stop at the Blue Tulip any day you are looking for fresh-picked greens, veggies and herbs. Jan brings you into his garden and cuts what you want. Now that’s what we call FRESH!! Coming to the MidCoast? Book with Us Today! Book NOW if you’d like to stay in our cozy, well-equipped studio apartment this summer. 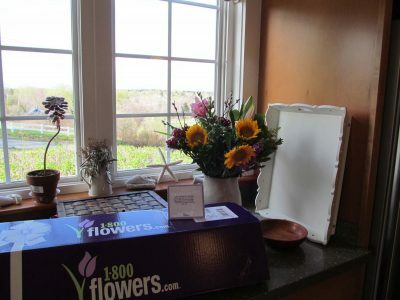 We are fully booked from July 17-August 7, but still have availability in early July, late August and September …my favorite month in Midcoast Maine! We invite you to check our online calendar under “LODGING” and select the open dates that work for you. We have the most reasonable weekly rates in Tenants Harbor and Port Clyde and offer a popular 3-night for $325.00 “High Season” special in July, August and September. Our garden fire pit (pictured above!) is waiting for you to roast marshmallows, and our fresh vegetables and herbs are just waiting to be picked for your picnic or lobster feast! So…how do you like our colorful new “flutter flag”?? Designed by son, Scott, to help us promote the shop and catch the attention of potential customers, it’s 9 feet tall and pretty hard to miss! Jan put it up today…just in time for tomorrow’s opening…and we’ve already received a few thumbs up from cars passing by. It’s hard to believe that this will be our 7th season as Tenants Harbor shop owners. We’re open 10:00-5:00, Wednesday to Saturday, from Mother’s Day until Christmas week. 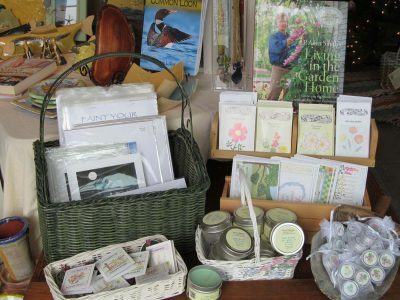 Please stop in to say hello and browse our unique collection of nature-inspired, handcrafted gifts. There’s a little bit of Maine, everywhere you look! A Little Piece of Maine…Wherever You Look! When the Blue Tulip Garden Boutique reopens for the 2015 season on Saturday, May 8, visitors will find dozens of beautiful new items, all hand-crafted in Maine. Looking for a unique Mother’s Day gift for mom or grandma? 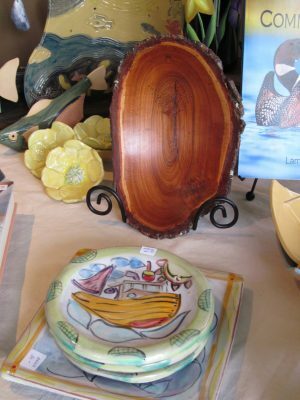 Searching for a Maine-made souvenir to remind you of your stay? 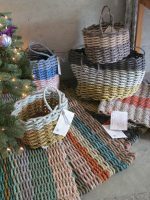 Hoping to find colorful mugs, plates, placemats or pillows to decorate your cottage? Or maybe you simply can’t do without dark chocolate or a few jars of our tasty blueberry jam or maple syrup. Find that “something special” you’re looking for in our small, locally-owned, treasure-filled shop. 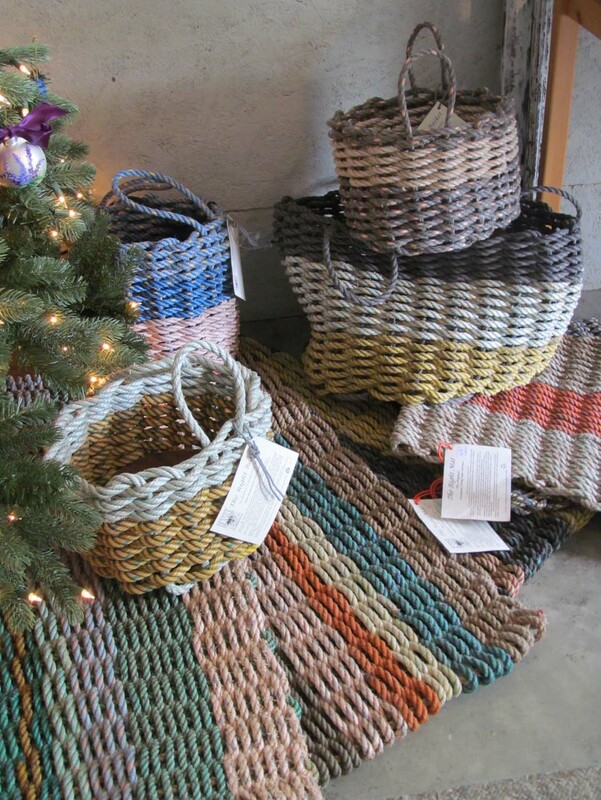 We offer unique, hand-crafted gifts from more than 50 Maine artisans. We hope to see you on May 8th and many times more this season! Though we still have snow on the ground here in Mid-Coast Maine, we can finally see our streets and driveways. No flowers yet, but as one friend said last night, “the blacktop’s blooming!” Yes, in between a few early morning patches of ice, our roads are clear! No one can deny that it’s been a long, very cold winter. Even so, we’ve had many bright and beautiful sunny days. And, as we sit in our cozy TV room, looking out at the sun glistening on water across Route 131, we feel fortunate that we live here, in Tenants Harbor, and not in Boston! Spring will arrive one day soon…it has too! (Hopefully, while we’re away for 3 weeks, visiting family and friends in NJ, MD and FL.) And then, as mud season ends and we turn the calendar page to May, we hope to see daffodils and tulips blooming our gardens. We planted 800 bulbs last fall! THINK SPRING!